We want you—to be Brand Champions! At RIT, we’re always moving forward—breaking down the walls of the impossible to create the exceptional. Our latest breakthrough will set the tone for all the good things to come. 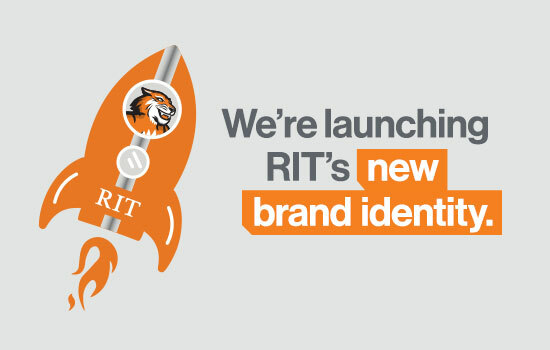 We’re launching RIT’s new brand during a kickoff event 3–6 p.m. Sept. 27 in the SAU Fireside Lounge. All RIT faculty, staff, students and alumni are invited to stop by for giveaways, refreshments, 3D demonstrations and more. President Munson will speak at 4 p.m. Learn more about the branding efforts and how it will be activated from the Marketing and Communications team. If you can’t attend in person, a live steam from 4–4:30 p.m. is available at rit.edu/ustream. Come as you are; leave as a brand champion! Interpreters have been requested for this event.